Asus has set to launch two new Asus Zenfone smartphones in India on 17 th October.The company already has sent invitations through twitter and flipcart.Manufactures has also arranged live streaming of launching for those cannot attend the event. 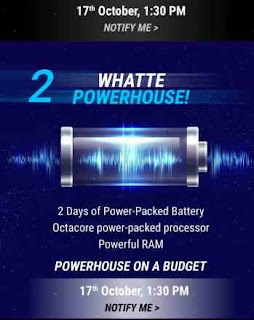 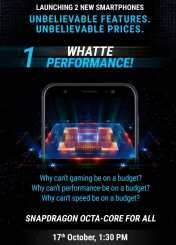 While assessing flipkart event invitation,it gives hints that the device should be a upgraded version of Asus Zenfone Max Pro.The second one might be a lower of new model.Because it's poster says about powerful features on budget price.However,the poster confirms new phones will have powerful batteries which gives two days backup on single charge as well as Snapdragon octacore processor and RAM. 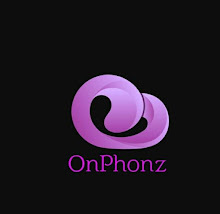 Anyway,whole specifications of two new Asus Zenfone smartphones will be unveiled on 27th October.So we have to wait till 17th and will be posted here when further updates available.